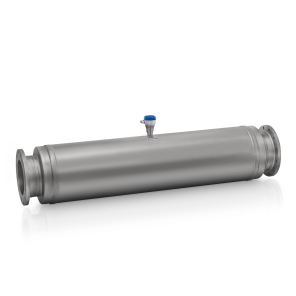 The OPTIMASS 2400 is the world’s highest capacity Coriolis mass flowmeter for liquids and gases. With its twin or four straight tube design, the Coriolis meter is ideally suited for bunkering operations and custody transfer or fiscal metering in the oil and gas industry. It can also be used for any bulk mass application with many other products such as syrup, molasses or raw chemicals up to 4,600 t/h / 169,000 lb/min. 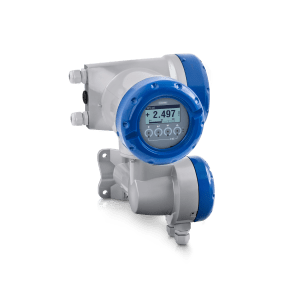 The Coriolis meter features Entrained Gas Management (EGMTM) for liquid applications, maintaining operation over a wide range of gas fractions and complex flow conditions. In this way, the Coriolis device enables continuous and uninterrupted measurement of mass and volume flow, density and temperature – even at difficult process conditions with 2-phase flow. The OPTIMASS 2400 offers a Super Duplex option for a maximum operating pressure of 180 barg / 2610 psig. 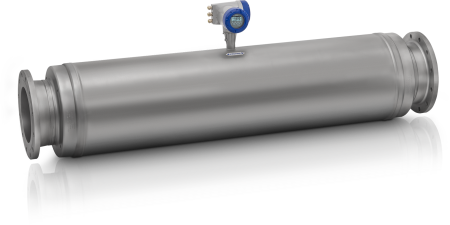 Like with all other KROHNE Coriolis mass flowmeters there are no installation restrictions as the OPTIMASS 2400 is immune to crosstalk/line vibrations and can thus be installed in series or in parallel. The Coriolis meter is also approved for use in hazardous areas. Additionally, it offers a wider range of diagnostic functions (NE 107) as well as many digital communication options. Bunkering of ship fuels etc. High volume measurement of syrups, molasses etc.